Biked for an hour at the gym. I covered a whopping 10.6 miles in that hour, so obviously I was not exactly putting in a lot of effort here. I also spent all 60 minutes biking and zero minutes strength training, in case you were wondering whether or not I had given up the ghost on that pipe dream (I have). Five miles according to MapMyRun. I used this run to test out manual lapping without auto lapping on my watch, and it went MUCH better than last Thursday. My watch still beeps every time it has measured a mile, but it doesn’t record anything unless I manually lap it (I figured where I would hit each mile based on what MapMyRun said, and lapped my watch in that general area). The run itself was a bit more challenging than I expected or hoped it would be, which was a bummer. My legs felt heavy and tired, especially during the first half. I had a dentist appointment immediately after this run, which meant two things. One: instead of run commuting, I did a 2.5 mile out-and-back from my office and then back to my office. Unsurprisingly, the “back” portion, during the height of rush hour, was a bit…tense. I didn’t actually yell at anyone, though I did almost throw an elbow. But only almost! Two: I had to go directly to the dentist after retrieving my stuff from the office, so I didn’t have time to stretch, foam roll, or do my usual post-run PT exercises. I got in more of a cooldown walk than usual, though, so that’s something. My teacher wasn’t there on Tuesday, so instead we had a sub from his dance crew. Unfortunately, the sub didn’t know the most recent routine we’ve worked on, and none of us remembered the parts we added on last week, so this was a fairly useless hour of dance. On the bright side, I felt completely comfortable marking everything instead of going all out at any point during class, given that my teacher wasn’t there, and I feel much better about dance the Tuesday before a marathon when I can put in 10% effort and not worry about hurting myself. I thought about biking, but decided to do yoga instead, since I’m really trying to keep my energy expenditure low in the days leading up to the marathon. I chose this practice because it was the next Yoga Camp practice I hadn’t done that was 30 minutes long, but it ended up being exactly what I hoped for. There wasn’t a single vinyasa in the entire practice. The whole thing was just gentle, easy movement, and it was totally perfect for what I wanted that day. Somehow my GPS said I needed to run farther to hit two miles than MapMyRun did, even though my GPS was all over the place for the first mile…?? Whatever. I wasn’t going to stop this run without my watch saying two miles, and I don’t think the extra tenth of a mile was going to make that big of a difference. 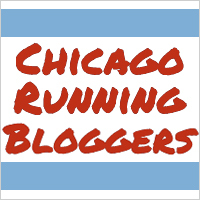 CARA’s training plan didn’t actually call for a Thursday-before-the-race two miler this year like I remember doing it in the past, but this is one of my favorite runs of the entire training cycle, and I was not going to be denied my Thursday two miler! Haha. I had had a stressful day and ran way too fast, but oh well. In the immortal words of Porky Pig, that’s all, folks. Marathon training cycle #5 is in the books. Now all that’s left is to actually do the thing I’ve been training to do for the past 18 weeks. This marathon season definitely was not the one I anticipated when I sat down and wrote out my training plan at the beginning of this year, but what’s done is done, and we’ll see how it all works out on Sunday.